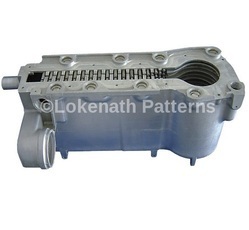 We are a leading Manufacturer of aluminum casting for heat exchanger body from Faridabad, India. Our company specializes in manufacture of castings for direct use in assembly of Heat Exchanger Body. These aluminium sand castings are manufactured with accuracy and finishes that avoids need for machining. The castings have proper radii at all places to avoid corona effect during transmission of power. The castings are manufactured with due precautions to make them very sound to avoid sparking and pitting due to porosity/internal defects. Looking for Aluminum Casting for Heat Exchanger Body ?